The 3D Lanza is a ground-based, fixed-position long-range volumetric air search radar developed by Indra in the 1990s to replace the Spanish Air Force AN/FPS-113 and AN/FPX-90 surveillance radars. [i] The purpose of the 3D Lanza radar is two-fold; it serves military operators as a 3D air surveillance radar, but it also serves civilian customers as a real-time air traffic control radar. [ii] With a range of 470 km, the 3D Lanza can also detect targets with an altitude up to 30,000 meters (100,000 ft). The 3D Lanza radar also possesses soft-fail technology that helps minimize any degradation during recovery and clear up all types of clutter including weather and terrain. [iii] Spain’s Indra has also developed a mobile version and a naval version of this system. Strategically, the 3D Lanza radar is valuable for the Spanish Air Force because it allows its ground stations to operate 24/7 automatically with a minimum of specialized crew members relaying the data, freeing up personnel to operate in other areas of importance. [iv] While operating, the shapes and positions of its narrow pencil beam can be controlled in range and elevation to step over clutter and reduce clutter returns. [v] This feature provides the operating country with the best possible chance of detecting all threats before impact. 2000: The first 3D Lanza system was commissioned for its use in the Sistema Integrado de Mando y Control Aereo (SIMCA) program. 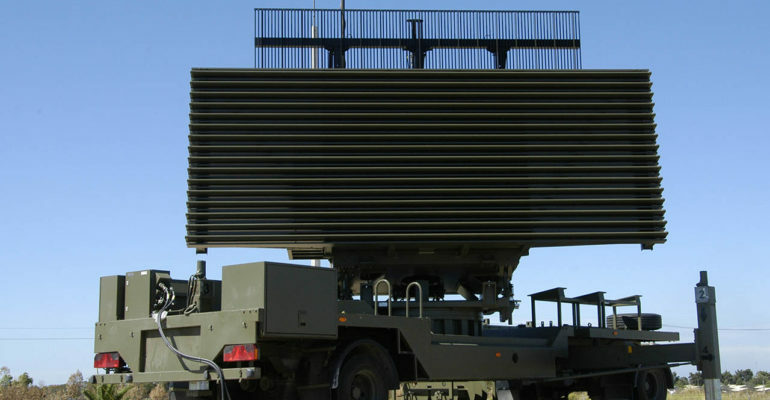 1990s: The 3D Lanza radar was chosen to replace the Spanish Air Force An/FPS-113 and AN/FPX-90.